Mushin Training Center is at it again with another technique! This week, we take a look at the vertical jab. A traditional jab is thrown with the lead hand. Power is generated by pressing off of the back foot and driving one’s body weight forward into an opponent. This mechanic remains unchanged through both variations of the punch. What makes the vertical jab different is the hand positioning. In a traditional jab, the hand is rotated about 90 degrees as the arm extends. 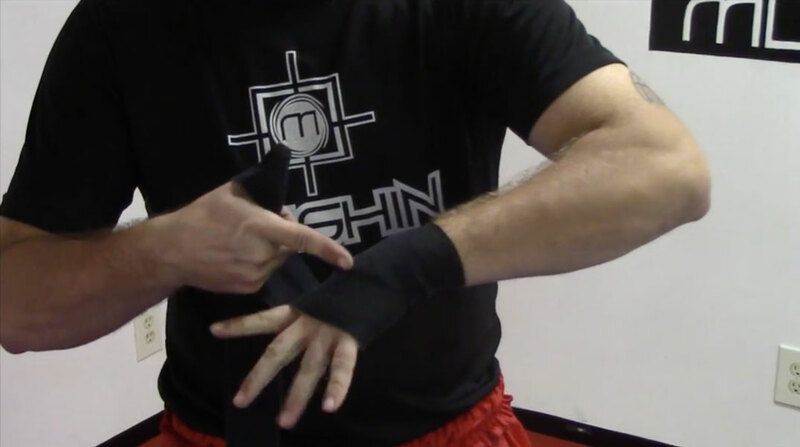 This action raises the shoulder providing a solid defense against counter attacks. But, what if you don’t need to worry about counter attacks? Different fighters deal with straight attacks differently. Some will try to slip or weave out of the way. Some will try to rock-a-way, and still others will counter with their own attacks. However, one of the most common defenses, especially in the early stages of a fight when the competitors don’t have a feel for their opponent’s timing, is blocking. The typical block for a jab is to close the forearms in front of the face to prevent the punch from reaching it’s target. Another common block is to cover the side of the head and rotate slightly so the punch impacts on the arm. Both of these blocks work great against a traditional jab; however, they limit the ability to counter strike. This leaves these blocks vulnerable to the vertical jab. 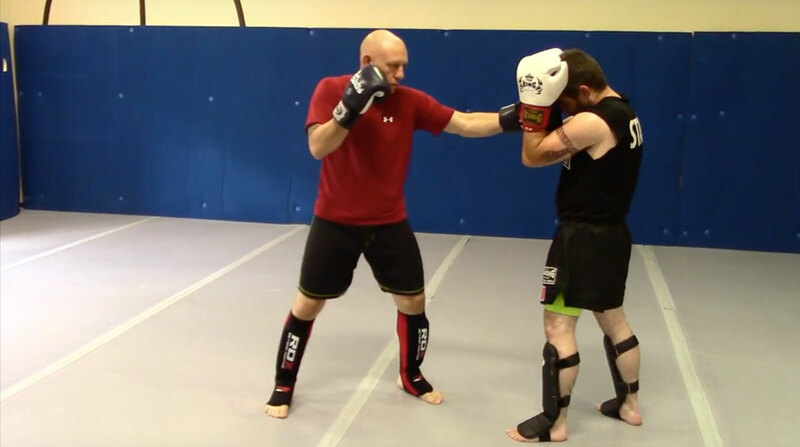 The vertical jab does not include the 90 degree turn of the hand of a traditional jab. This lack of rotation lacks the defensive capabilities of the shoulder raise, but provides a smaller striking surface that can break through guards more easily. However, when someone’s primary defense is blocking, counter attacks are not likely due to the necessity of using both arms to cover. This makes the vertical jab an ideal tool to break through the wall and land a clean shot. Thanks for watching! Hit us up with any questions, comments, or concerns. See y’all next week!